Your opinion matters. Leave A Review Or Edit This Listing for Community Center of Northern Westchester. 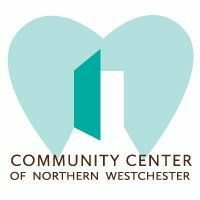 CCNW runs a choice style food pantry and clothing bank serving those in need in Northern Westchester. We also provide a range of services to help our neighbors achieve self-sufficiency and improved quality of life for the entire family: Classes to enhance employment opportunities (construction skills, sewing, OSHA training) Career counseling - assistance with job searches, resume writing, interview prep Educational scholarships One on one tutoring Free health screenings Family wellness programs Sleep away summer camp opportunities Prom attire, school supplies, pajamas in winter Access to additional resources incl. SNAP applications, WIC and other social services. We always need more information on our pantries. If you know of any details, volunteer information, website, hours or more description information about Community Center of Northern Westchester please add a comment (below the map on this page), with information. We will then display this for all visitors on this page.